Info: This shoe was dubbed the Twin Peaks as they were inspired by the 1990’s TV show. 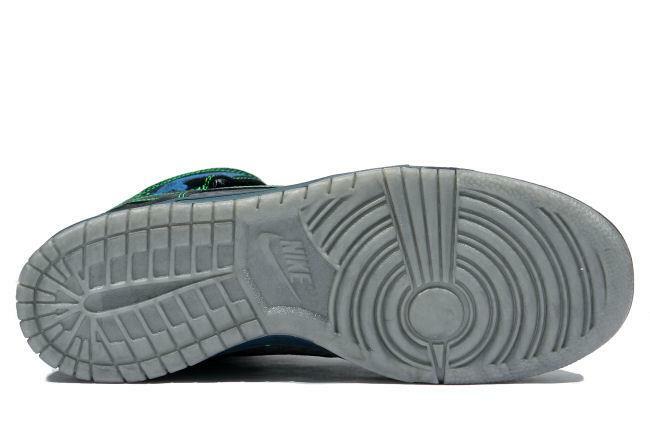 They feature black suede upper with dark grey inserts on the toebox and quarter panels. 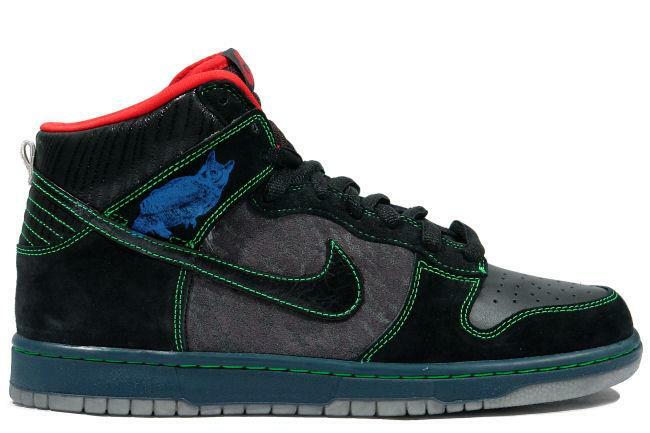 Some highlights of the shoe including the bright green contrast stitching and the blue owl illustration on the ankle area. 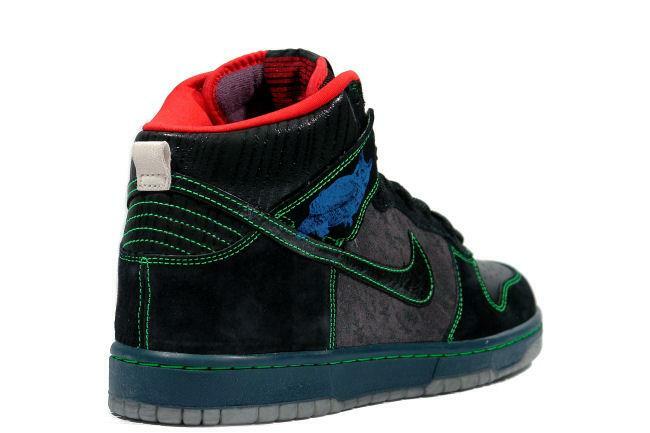 These were only sold at select SB shops and come with an extra pair of laces. 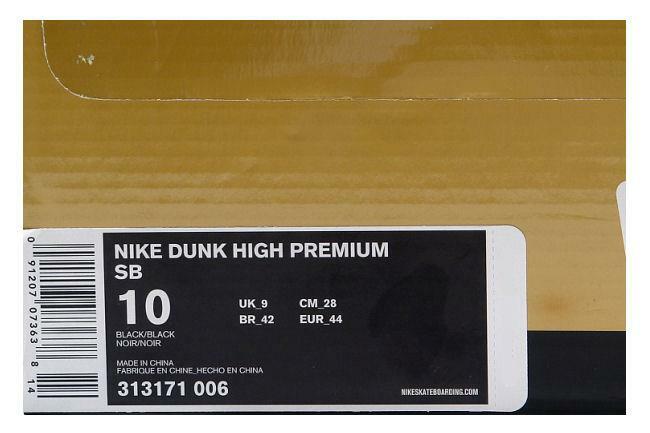 January 2009 SB limited release.